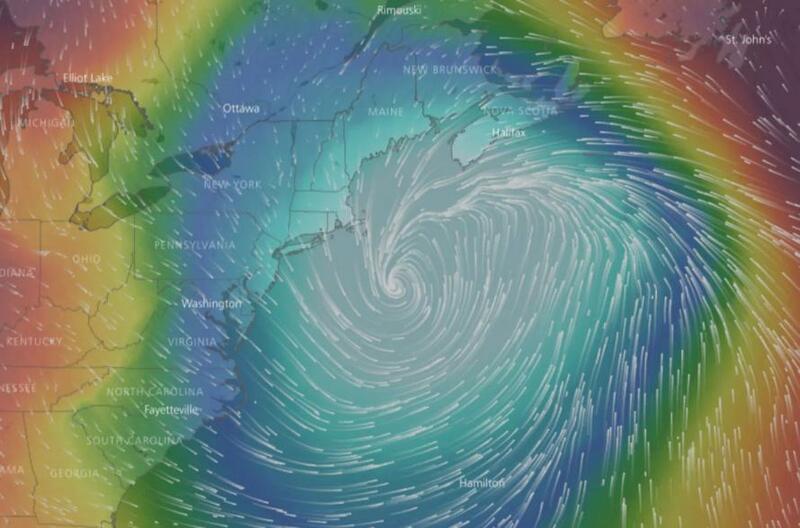 This week's storm may end up being worse than your average nor’easter, according to Bloomberg. 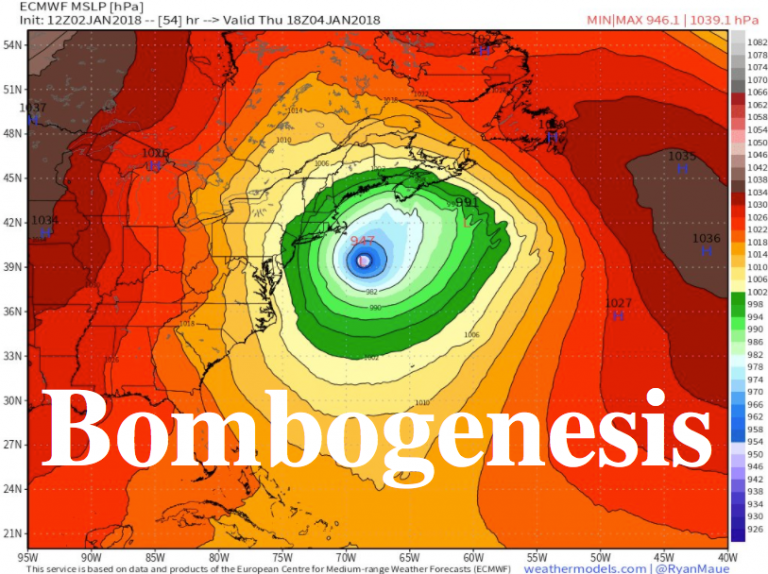 It could produce a “bomb cyclone,” otherwise known as a bombogenesis, a phenomenon that occurs when a system’s central pressure drops steeply - 24 millibars or more - in 24 hours. 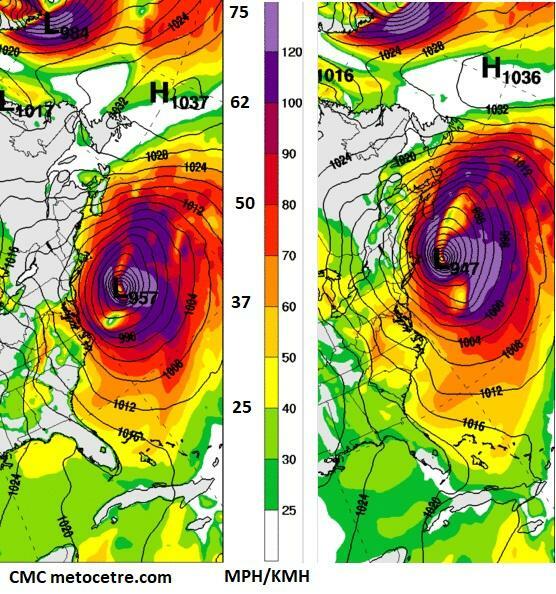 If current computer models hold, that’ll start to happen somewhere off Cape Hatteras, North Carolina, and continue as the storm moves north. Hurricane-force wind warnings have been posted off the coast where ships could encounter winds of 80 miles (130 kilometers) an hour and waves as high as 26 feet on Thursday. As a result there is going to be a QPF drop out from around Virginia up towards Connecticut. Of course if we shift further west then we shift everything west but there will still be a dropout in that NW corner if you will. Be it DE/NJ/NYC or be it E-MD/E-PA/SE NY. Regardless of precise location of this storm and it’s heavier precipitation contours there has to be a drop out in north and west sections. This system will become a hurricane force low. It is why you really do not want to see it come west like it has over time. I always felt the chance existed and now unfortunately not only here we are but with the potential to even pull it further west in time. 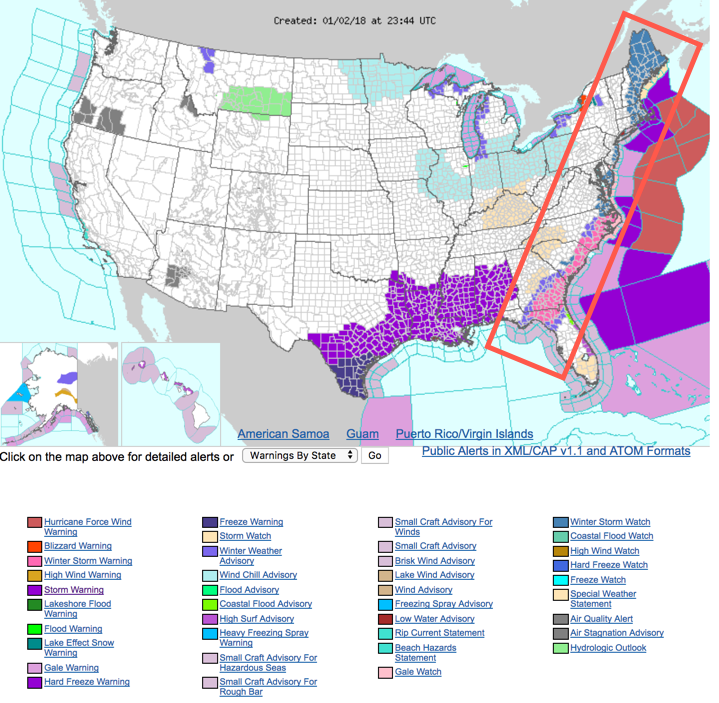 These winds will cause widespread power outages. 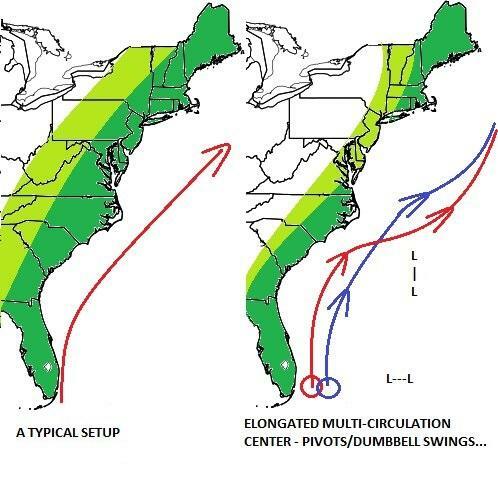 It has also been a no brainer that Nova Scotia was going to get absolutely smacked by this storm and they are in for it with this one no matter what we get precisely along the eastern US coastline. Unavoidable heavy hit for them. 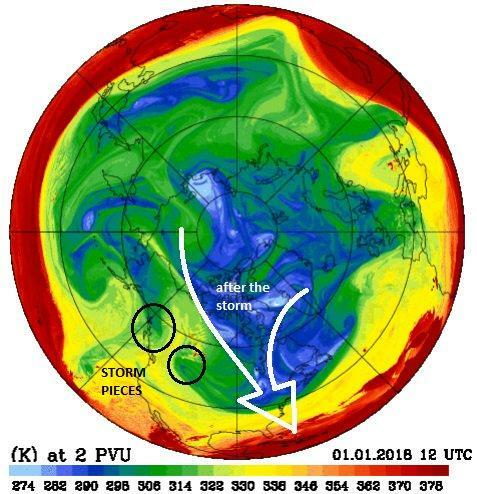 What happens next could be devastating for the East Coast: "The whole troposphere is coming south and we will not avoid an intense cold snap lasting several days," said StormHamster.com. 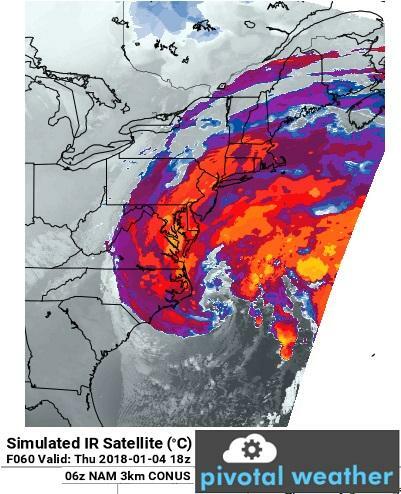 Finally, while neither Kim nor Trump has the red button to unleash this particular "bomb", this is what the "bomb cyclone" will look like at is explodes over the East Coast in the coming days. 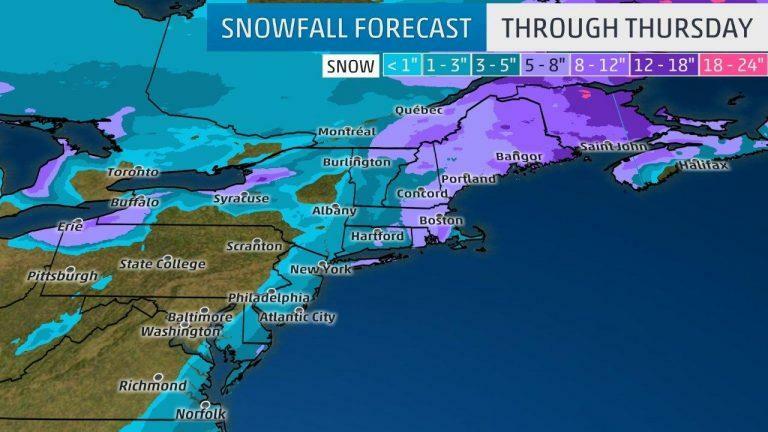 Meanwhile, meteorologist Paul Walker at AccuWeather said that the storm will probably cause blizzard conditions in New England and eastern Long Island as high winds accompany the snow. 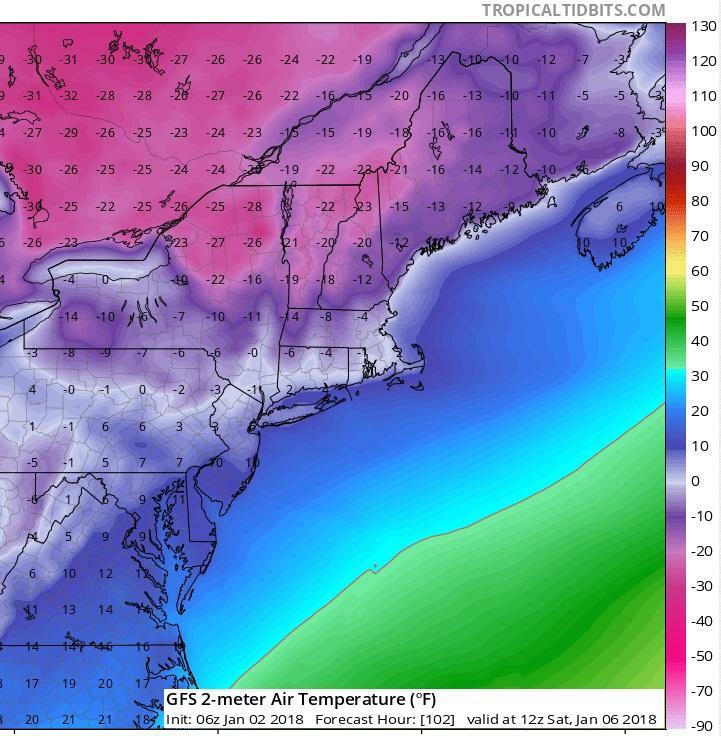 And then it gets worse again: Another round of bitterly cold air is forecast to blast across the U.S. by the middle of next week. The chill could linger through Jan. 16.